Exile - A new alias to an industry heâ€™s spent years creating music in, Exile is someone whose name is becoming synonymous with impeccable quality production and versatility. Having already carved out a career with internationally acclaimed drum & bass stalwarts, weâ€™re hugely proud to announce Exile joins Subtle Sounds as an exciting new artist with years under his belt - not something one can usually easily and confidently say. 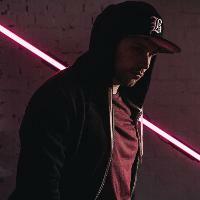 Exile fuses sounds from his extremely varied musical background, and you can expect epic intros, screw-face synths and bass lines to keep you on your toes. With projects alongside the likes of Rhymestar, DubZero, Zeal, Miss Melody, Slipz and Mark XTC, Serial Killaz and more. Exile is someone whoâ€™s made friends in the industry and maintained them. Forthcoming releases come in the shape of top quality jump-up heavy-weight sounds, searing rollers with real, crisp basslines and impeccable mastering. Get ready for the next generation of drum & bass - get ready for Exile! Here are the latest EXILE mixes uploaded to Soundcloud. Do you promote/manage EXILE? Login to our free Promotion Centre to update these details.